Mums are now taking antenatal classes online - but are they as good? Mums are now taking antenatal classes online – but are they as good? Traditional antenatal classes could soon be a thing of the past with time-poor parents now jumping online for their education in the lead up to the birth (and beyond). But is this new method as good? Here’s the lowdown. 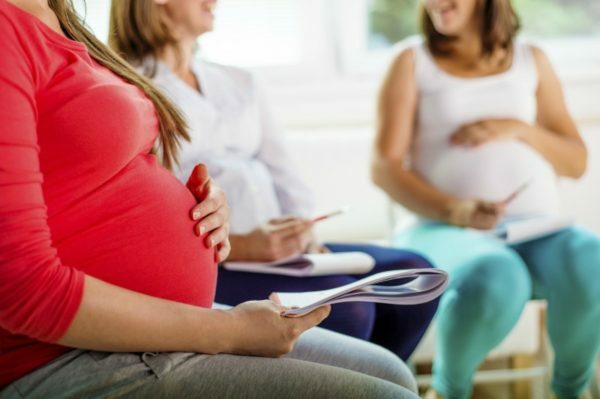 Thanks to work and the nature of our busy society, mums-to-be are now struggling to get to antenatal hospital classes which can be quite time consuming at a full eight hour day or numerous 1-2 hour sessions. A welcome alternative to this is Nourish Baby – a new website allowing parents to learn everything they need to know about birth and looking after a baby, from the comfort of their own home. Created by a mother who has teamed up with a group of midwives, doctors, childbirth experts and parenting professionals; the comprehensive online classes feature over 60 video tutorials, audio podcasts, eBooks and articles. The wide range of topics cover fertility, pregnancy, birth, breastfeeding, fitness, infant and toddler care, sleep, settling, feeding, guided meditations and more. The classes are a great alternative for busy mums and dads who might normally skip prenatal classes due to time, money or accessibility. The Nourish Baby site is also very affordable costing only $15 per month (or $150 annually, plus a free 7-day trial), compared to many hospitals or private classes which charge upwards of $200 per person. According to Dr. Grant Saffer, Obstetrician at Epworth Freemasons maternity hospital in Victoria; he thinks online classes are a great idea – particularly for mums who live far away from their hospital or have already had kids. For women who are first time mothers however, Dr. Saffer believes online classes should be undertaken in addition to some form of physical contact with the hospital. “I think it’s important for women to socialise with other women who are in their situation; pregnant with the same aches and pains, worries and concerns. I might be an obstetrician but I’m 90% an anxiety doctor, so to be with other women and feel you’re in the same boat I think is really important,” he says. He also believes that when you’re in labour it should not be the first time you’ve visited the hospital, so attending at least one hospital class could be a good idea. Are you writing anything down? Me neither! Where are the biscuits?! A huge benefit of antenatal and postnatal classes online is that you can revisit the information again, rather than trying to take notes or remember everything at the time – something Dr. Saffer believes is particularly beneficial for areas such as breastfeeding. “Antenatal classes cover breastfeeding which is a complete waste of time because a woman’s mind doesn’t extend beyond the labour. It’s like climbing a mountain, only once they’ve reached the top and gone through the labour can they then see there’s another mountain to be climbed, which is breastfeeding,” he says. Dr. Saffer also believes another benefit of online classes is that women are more likely to take a lot more in when they’re not pressured, because they can absorb information by themselves and look at it again. Melbourne mother, Hayley Gabizon, has been using Nourish Baby for several months now in relation to her three year-old toddler but wishes she had found it earlier. “When my husband and I did antenatal classes the first time, we missed a lot of information because my attention span is not eight hours! Now I’ll watch a video and he’ll listen to a podcast and then we can discuss…it’s so convenient, and comprehensive too. There is stuff I haven’t gotten to yet that I plan on doing at some point, like toddler sleeping, but that’s what I love about it, you can go back to it as opposed to taking notes or leaving and not remembering everything,” she says. When asked if she would do the online classes again versus the hospital ones, Hayley has no doubts. “A hundred percent…particularly for people in my circumstances where you’re working full time and have a family, trying to get away for a full day is just not possible. And price wise it’s more cost effective,” she says. Hayley does admit that with the Nourish website you do lack a physical presence, but says the live chat function compensates for this if she ever does want to contact someone directly. Consultation sessions with a midwife on Nourish Baby cost $20. Would you give online antenatal classes a go?